Edwardian scholars – including not one, not two, not three, but four of the contributors to our recent book – will be out in force at Transitions: Bridging the Victorian-Modernist Divide, a two-day international and interdisciplinary conference held at the University of Birmingham on the 9th and 10th of April. We will be hosting a panel in the afternoon of the first day called ‘Locating Edwardian Culture’, and enjoying all the other panels on what promises to be a really stimulating event. Read more about the conference here. There are only two days left to register, so if you are thinking of attending (only £10 a day), do so sooner rather than later! CFP: Recoveries 2014: Reconnections – 1714-1914. Reconnecting with three centuries of literature and history. A one day conference at the School of English, University of Nottingham. 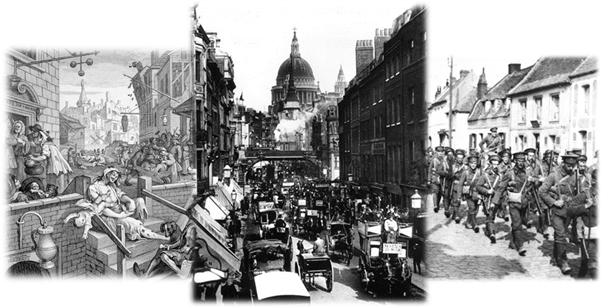 2014 marks the centenary of the Great War, the bicentenary of Napoleon’s exile to Elba, and the tricentenary of George I’s accession to the throne. Building on the success of the 2011 conference, Recoveries – Revisiting the Long Nineteenth Century, the University of Nottingham is pleased to announce a second conference in association with Centre for Regional Literature and Culture: Reconnections. This one-day interdisciplinary conference seeks to re-evaluate the scholarly practice/s of recovery projects and to consider how they impact on our understanding of literary, political and cultural developments, changes, fads and fashions over the last three centuries. • Edwardian Media: art, communication technologies, design, fashion, fiction, film, music, poetry, religion, theatre, and other forms of ‘high’ and ‘popular’ culture. • Categorising the Edwardians: Victorianism/Edwardianism/Modernism/pre- and post-War/fin de siècle/the turn of the century. How useful is the term ‘Edwardian’? • Revisionary Edwardians: challenging conventional notions of Edwardian writers, artists, and thinkers; fresh perspectives on famous Edwardians, and critical recoveries of neglected figures. • Eclectic Edwardians: the catholicity of Edwardian taste and cultural products, the genre-hopping of Edwardian writers and artists, and Edwardian interdisciplinarity. • Edwardian Afterlives: Edwardian nostalgia, Edwardian cultural afterlives, twenty-first-century visions of the Edwardians. • The past and future of Edwardian studies; teaching the Edwardians. ‘Beyond the Garden Party: Re-thinking Edwardian Culture’ is the inaugural conference of the Edwardian Culture Network. The two-day conference will be joint-hosted by the Universities of York and Durham on 12th-13th April 2013. Speakers will be asked to state in which city they would prefer to give their paper. Please send 300 word abstracts to edwardianculture@hotmail.co.uk by no later than Monday 3rd December 2012.